The latest issue of Tush Magazine offers a whole lot of facial firepower–apropos, considering the eight covers bear the words “In Your Face”. 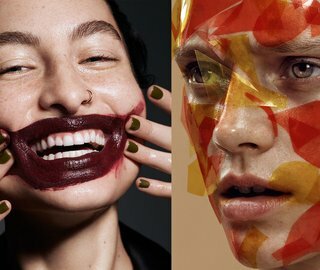 Inside its beauty goes gung-ho forging cosmetic visuals from unrestrained applications and unexpected uses of the everyday, wherewith models glow in new and unusual ways. 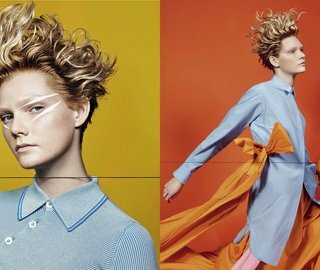 Photographer Armin Morbach supplies a full spectrum of playful takes done up on models like Lina Berg, Frances Coombe and Lina Hoss, while Van Sarki‘s signature pastel palette is carried out on stand-out, newcomer Liza Ostanina. That only scratches the surface, with editorial appearances by models Laura Julie, Anna Mila Guyenz, Kim Peers and Lorelle Rayner, there’s plenty of room for fresh perspectives as #38 takes us “Between Beauty and the Universe”. See the exclusive issue preview below.